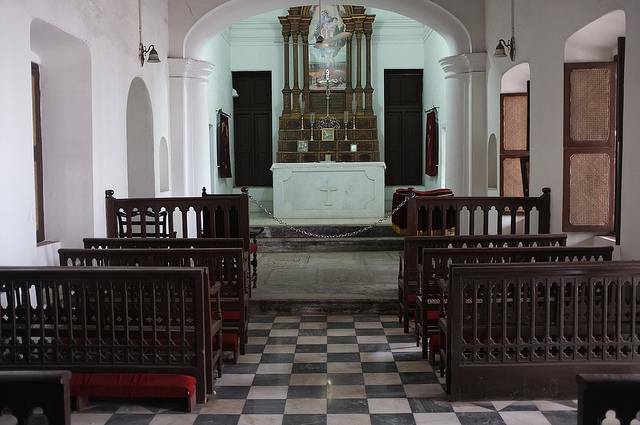 One of the oldest church of Indian sub-continent, Armenian Church is located in Parrys area of North Chennai. The church is acting as a heritage site. It is popular for the bell tower which has six bells. These bells are rung every Sunday. Each of these bells belongs to different time period and has various inscriptions on it. There are about 350 graves of Armenians in various parts of this church. Also the grave of founder, editor of world’s first Armenian Periodical, named Reverend Haroutiun Shmavonian can be found here.